Authorities Friday released the name of a police officer who fatally shot an assault suspect who attacked him with a kitchen knife during an early-morning confrontation in a Chula Vista home. 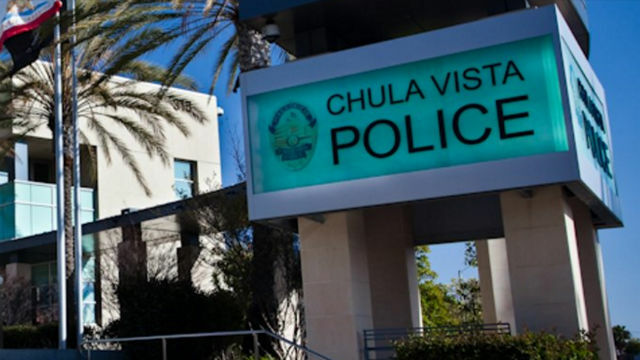 Officer David Sachs, a 1 1/2-year member of the Chula Vista Police Department, shot 27-year-old David Scott late Tuesday evening after suffering stab wounds to the face, head and arm at the suspect’s house near Hilltop Middle School, CVPD Lt. Kenny Heinz said. Scott died as medics were taking him to a hospital. Sachs received stitches for about a half-dozen stab wounds and is expected to fully recover. The events that led to the deadly encounter began shortly before 10:30 p.m., when a man whose home shares a backyard fence with Scott’s Monterey Avenue residence reported being struck in the shoulder by a softball-size chunk of concrete hurled from the adjacent property, Heinz said. Sachs and another officer investigated, determined that the episode constituted a felony assault, identified Scott as the suspected assailant and went to his home to speak with him. Violence erupted moments after Scott’s mother allowed the patrol personnel into her home, according to Heinz. Sachs responded by pulling his service handgun and opening fire, wounding the suspect multiple times. Sachs’ partner and a civilian police chaplain then helped the bloodied lawman out of the home to await medical aid. It was unclear what prompted Scott’s actions.